Unlike beauty salon’s that provide many beauty and cosmetic treatments, and general dental practices, who provide a whole range of dental, cosmetic dental and often non dental treatments, The White House dental whitening Edinburgh and Belfast specialise only in laser teeth whitening. With our Specialists performing over 800 treatments per year, we believe our patients benefit from the improvement in technique, knowledge and experience associated with treating more patients, which in our opinion ultimately results in improved results. We can also keep our overheads lower because we focus on teeth whitening only, allowing us to pass that saving onto the customer. As well as having the most advanced technology, the best results will only be achieved when the procedure is undertaken by fully qualified and experienced dental professionals. 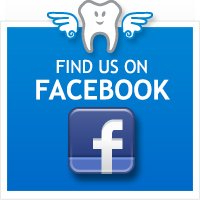 While many teeth whitening clinics use non dental trained staff or beauty therapists, The White House believe that because not all patients are clinically suitable for laser teeth whitening, the treatment should only be performed by qualified and certified dental professionals, who have successfully undergone many years of training within their profession and the medical / dental sector. Each individual contains different mineral content within the teeth, staining varies, and many people’s expectations are different, therefore we tailor each treatment to meet your specific needs and desires. The standard 35 minute treatment is sufficient for about 80% of people however 10% of people will need less time to get the desired results and 10% will need more time. Also half the people that get their teeth whitened would ask us to make sure they are not too white and the other half would ask us for really white teeth, this is a personal preference and therefore we feel that individually tailored treatments should be determined after a consultation and during the process depending on how the teeth are reacting to the treatment, considering the individual’s wishes. The treatments takes between 30 to 40 minutes. We are so confident in our results, The White House promises a full refund of the treatment fee, should you get less then 5 shades whiter. We follow up with every customer to make sure you are 100% satisfied with the level of professionalism attained and that results met or exceeded your expectations. We also gather valuable statistics and feedback in which we implement to continue to improve our service bringing you a continually superior quality customer experience.